Best Price Guarantee: If you purchase your tickets via the link provided on this page and find a better price for Terry Fator tickets for the seats purchased, Vegas.com will match the competitor's price and refund the difference. That’s customer care you can count on. Stubhub third party tickets may also be purchased to select premium seats and have availability to sold out seats.Third party tickets may be above face value. Low price guarantee does not apply to Stubhub tickets. Terry Fator may just be the greatest illusionist on the Las Vegas Strip, but you'll never see him perform any magic tricks. He amazes audiences by singing like famous entertainers from Elvis to Cher without moving his lips, and that's not all. Along with being a singer and a celebrity impressionist, Fator is a puppeteer. His face may not move much during his show, but his hands are always in action, bringing to life his cast of lovable puppet co-stars. The puppets each have their own comical personalities and music style, which makes Fator's show feel like both a concert and a stand-up comedy routine. There's Winston, the impersonating turtle; Walter T. Airdale; Maynard Thompkins, the World's Greatest Elvis Impersonator; Emma Taylor, the little girl with the big voice; Duggie Scott Walker, the annoying neighbor; Julius, the soul singer; Monty Carlo, the lounge singer; Hyphen, the delusional British rocker; Vikki, the cougar; Barry Fabulous, a flamboyant hip-hop diva; and Wrex, the safety expert. When the puppets aren't singing, they're sharing their comedic wit with Fator and the audience. All the while, if you really pay attention, you get the chance to hear something remarkable. Fator's vocal range extends from Etta James' "At Last," to Garth Brooks' "Friends In Low Places." The appreciation for his talent runs even deeper when he performs both parts of two duets. He does Sonny and Cher's "I Got You Babe," and "What A Wonderful World," as Kermit the Frog (with Winston) and Louis Armstrong. Combine that range of musical samplings and add in that Fator never opens his mouth more than half an inch during the songs unless he's taking a breath or, on the rare occasion, singing a song as himself. 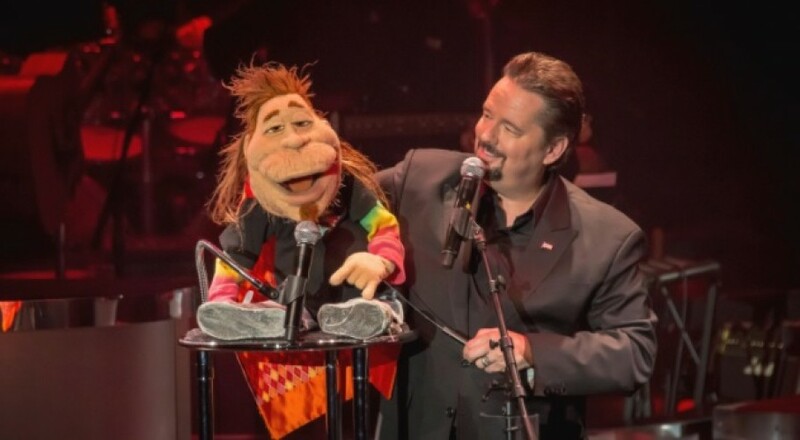 To call Terry Fator a master of puppets would be an under appreciation for his show and talents. But to call him the best singer on the Strip, who doesn't open his mouth more than half an inch, while using puppets and providing endless comedy might be more accurate. Unfortunately, that's really hard to fit on a billboard. A multitalented performer, Fator got his big break when he won NBC's "America's Got Talent" in 2007. Fator won $1 million and a gig to perform on the Strip. Since 2008 hundreds of thousands of tourists have seen Fator's show. Aside from Vegas, Fator has been featured on "The Today Show," "The Oprah Winfrey Show," "The Ellen DeGeneres Show" and "The Late Show with David Letterman."